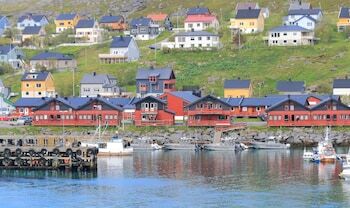 With a stay at Havøysund Hotell & Rorbuer in Havoysund, you'll be on the waterfront, just a 5-minute walk from Port of Havoysund and 8 minutes by foot from Havoysund Church. Featured amenities include a 24-hour front desk and laundry facilities. Free self parking is available onsite.